Our lovely apartment in Nishi-Azabu 2 gave us a comfortable space for our group of 5. 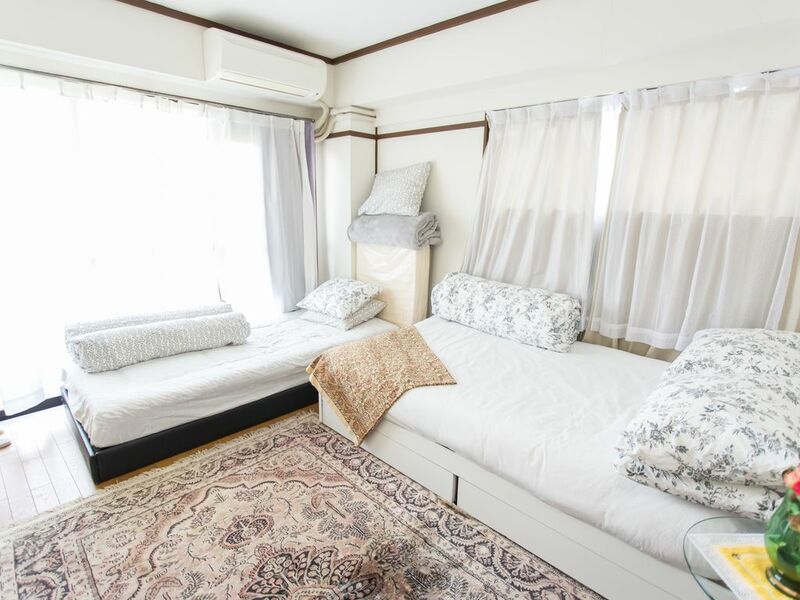 The apartment has an excellent location, easy to move around Tokyo. It was clean and well equipped, although a bit of maintainance would help and maybe take out the bunk beds that clutter the space. Not more than 4 people can stay here, so there is no need for so many beds. The host gave as very precise indications for arrival and it was very easy to get there. Due to e-mail problems with Homeaway she wasn't available during our stay, but she was very nice anyway. We think the apartment is very good value for your money and it provides an excellent place from where to move around. The experience was very good, we would certainly return to this apartment in a future trip and we recommend it to other travelers. Absolutely great apartment. Very close to metro and a suitable walk from JR station (harajuku). All amenities nearby and a wonderful view. 1. Anne is a very friendly and accomodating host. Even though we didnt meet she entertained our requests obligingly. 2. The apartment is very cosy, we felt so much at home. 3. It is near to a subway station about 5 mins walk but most of the time we took a taxi to places we want to go due to a friend who is on a wheel chair. 4. Overall our stay at Anne's apartment was memorable and enjoyable. Anne's apartment was very cozy and clean. We enjoyed our stay because the ammenities are complete and the area of the apartment was very accesible and it has a safe and quiet neighborhood. The host was very kind and accommodating. This place was awesome! The bed and blankets were so comfortable. It is a 10 min walk to Roppongi Hills and Roppongi station. Anne, was great, was always available and quick to respond. Great value for the location. Perfect for our girls night out. Will definitely use this apartment again.